The Willow Clinic recognises your right to privacy and is fully committed to protecting your privacy at all times. We have developed this policy in compliance with privacy legislation (Federal Privacy Act 1988 (Cth) as amended by Privacy Amendment (Private Sector) Act 2000 (Cth). Like many health practitioners, osteopaths must keep clinical records. It’s a government requirement, and information about your medical and family health history is needed so that we can provide you with an accurate diagnosis and appropriate treatment. We will only seek information that is relevant to your health or that will provide us with a means to contact you. This information is generally collected directly from you or otherwise with your consent. However, from time to time we may receive information from others (e.g. x-rays and referrals from other practitioners). When this occurs, we will, wherever possible, make sure you know we have received this information. The Willow Clinic may need to provide some information about you to Medicare and your private health insurer for billing and rebate purposes. This generally does not include your detailed clinical records, but may depend on the terms of your insurance policy. We could also be legally required to disclose information about you for something like a subpoena or other mandatory reporting requirements. Additionally, you should know that workers’ compensation and traffic accident schemes require patients treated under those schemes to agree their health information can be shared with the scheme and its insurers. It is necessary for us to keep your health information for as long as is required by law (generally 7 years after your last consultation, but longer in some circumstances). We will inform you if we intend to transfer your clinical records to another osteopath or clinic, or if we sell or close this clinic. You are entitled to know what personal information is held about you; how and under what circumstances it may be disclosed; when consent is required for these purposes; and how it is stored. Feel free to ask your practitioner about this when your health information is collected while attending this practice or at any time thereafter. All information, including your personal details, will be treated in the strictest confidence and kept private. Information collected about you will be stored on an ultra-secure practice management system which is used and trusted by thousands of healthcare practitioners. The personal information we collect about you is used to support your relationship with us. 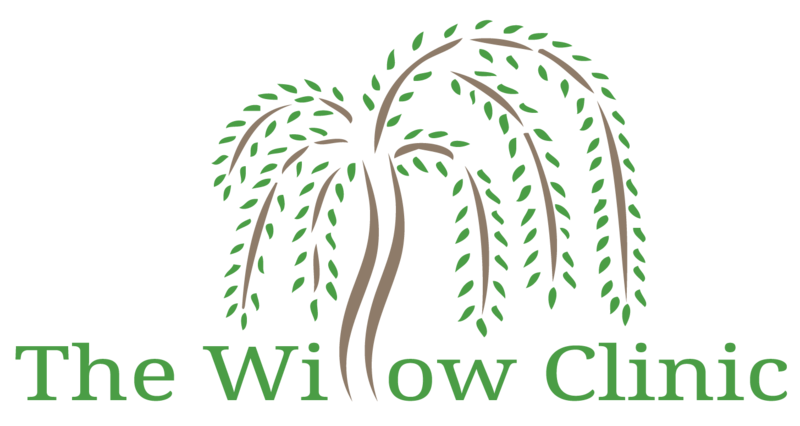 We use it for internal record keeping, appointment reminders, billing and changes in hours of operation at The Willow Clinic. Periodically you may be contacted via email, providing you with complimentary advice, offers and health tips. However, The Willow Clinic does not share, rent or sell its lists with or to other companies. If you find that the information we hold about you is inaccurate or you wish to be removed from future mailings from The Willow Clinic, we ask that you inform us by email at info@thewillowclinic.com.au and we will amend our records as soon as possible. Cookies are small files that are stored on a user’s computer hard drive if the user agrees to them being there. Once added, the cookies help analyse web traffic. They are designed to hold a modest amount of data specific to a client and website. This allows web applications to respond to the user as an individual and deliver a page tailored to that user. The page itself can contain some script which is aware of the data in the cookie and so is able to carry information from one visit to the website (or related site) to the next. thewillowclinic.com.au uses traffic log cookies to identify which pages are being visited. As such, we measure visitor numbers, frequency, time on site and other analytics and this helps us continually improve the site from the user perspective. You should know that data collected does not identify you in any way and will never be used for any purpose other than the improvement of this website and the service provided to customers. This policy applies to all email inquiries. If at any time, you have questions or concerns, please email us at info@thewillowclinic.com.au.